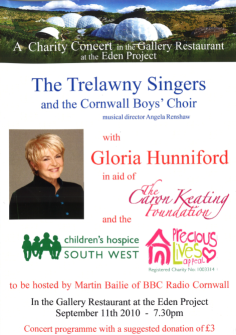 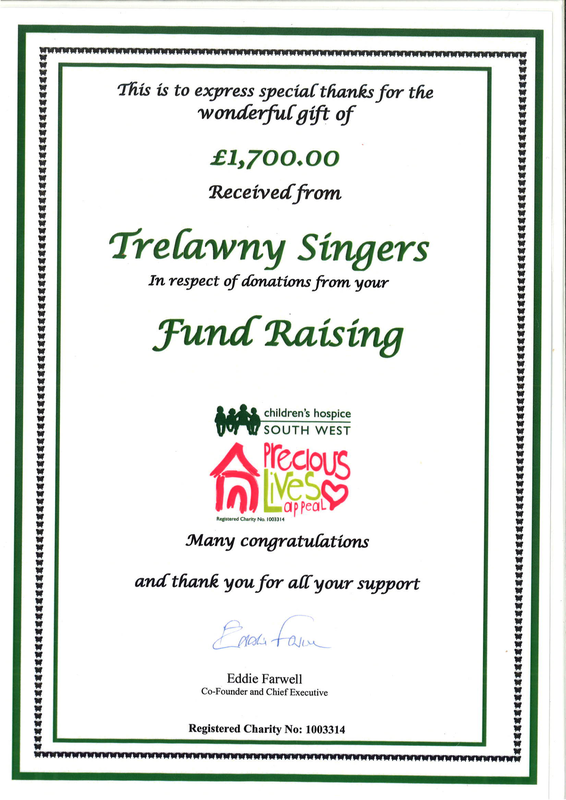 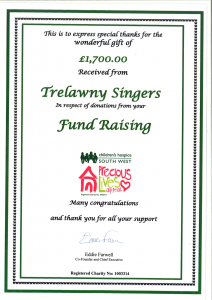 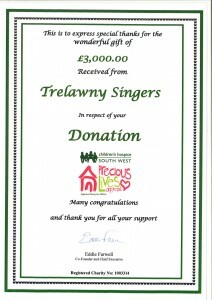 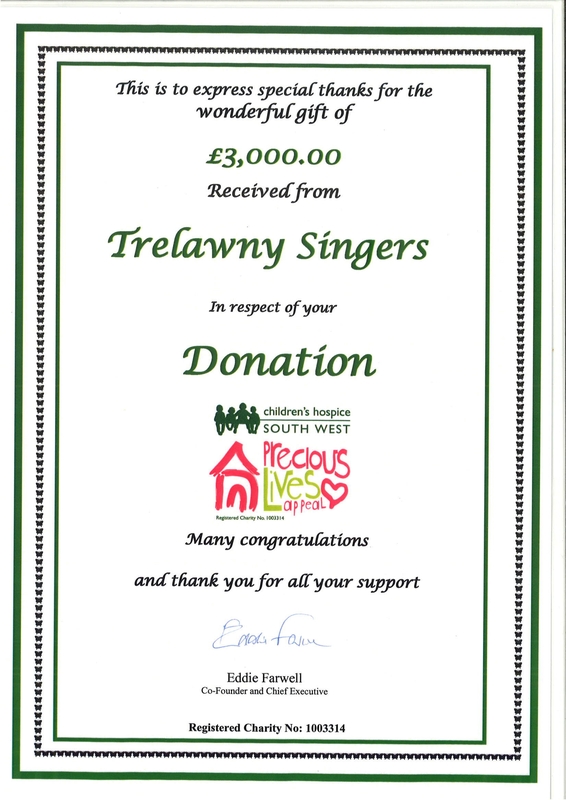 On the Saturday 11th September 2010, the Trelawny SIngers sang at the Eden Project to help raise money for the Caron Keating Foundation and the Children’s Hospice South West’s Precious Lives Appeal. 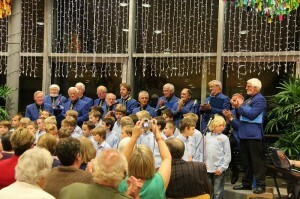 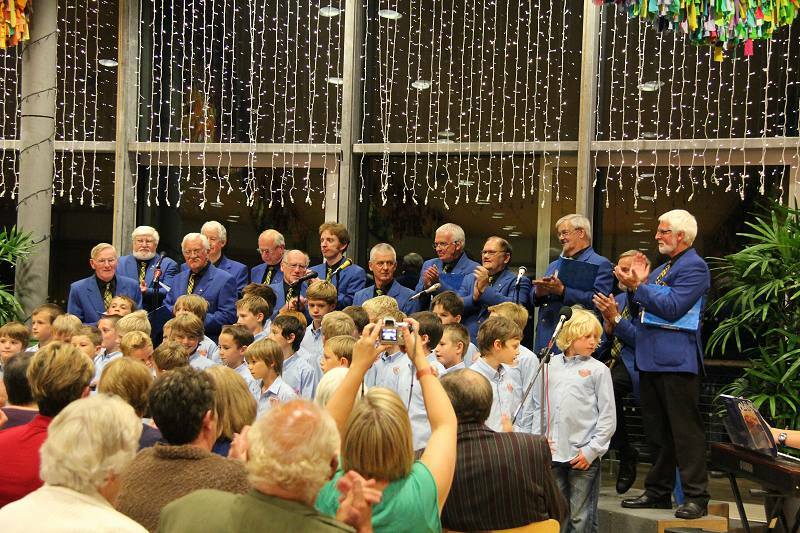 The Concert which they organized featured the Cornwall Boys’ Choir conducted by Angela Renshaw, Gloria Hunniford and BBC Radio Cornwall’s Martin Baille. 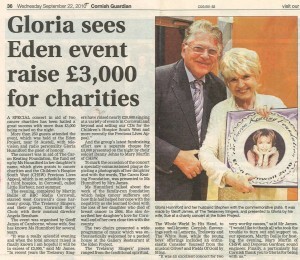 The event was a massive success and raised in excess of £3000 for the two Charities. 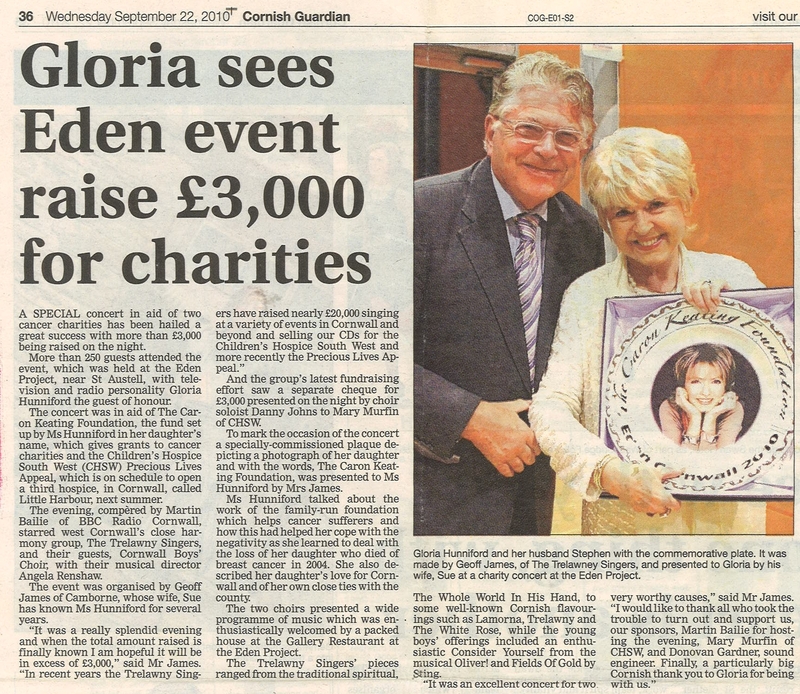 Please click on the image below to see the write up from the Cornish Guardian.